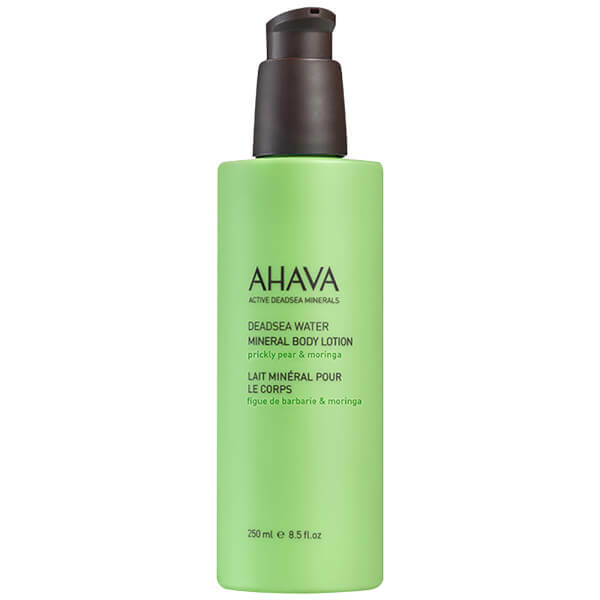 Discover a mood-boosting moisturiser with the AHAVA Mineral Prickly Pear and Moringa Body Lotion; a refreshing hydrator that effectively nourishes skin, whilst delivering a veil of uplifting fragrance. Utilising AHAVA’s best-selling body cream, the lightweight lotion effortlessly melts into skin and is fast absorbing. The formula harnesses a potent blend of Dead Sea Minerals and Aloe Vera to provide skin with exceptional moisture and a soothing feel. Witch Hazel visibly smoothes skin’s texture and offers a revitalising effect.